Therapy is not just a place to heal our deep wounds and trauma but a creative and sacred space where we tend to, and take care of, the soul. In therapy with me, we work to (re) discover your whole self: body, feelings, mind, and soul. 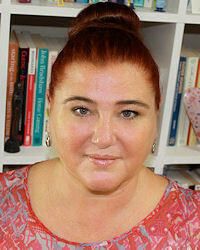 I am a leading specialist in women's emotional, psychological and spiritual health and well-being with 18+ years of experience in the field of psychology. I provide soul-centred psychotherapy + eating psychology for women as well as run workshops in Manly, Allambie Heights & Frenchs Forest on the Northern Beaches of Sydney. Psychosynthesis: has been described as the 'psychology with a Soul'. At the core, human beings are viewed as whole and unbroken not sick or diseased. As an approach it includes working with past trauma, current experiences in the here and now and the potential that often lies deeply hidden within. Psychosynthesis is a holistic model encompassing body, feelings, mind and soul. Eating Psychology: combines the psychology of eating with the science of mind body nutrition; it is the latest and most up-to-date approach there is for healing from eating disorders, disordered eating, and other food, weight & body image concerns. Eating psychology incorporates a Health at Every Size approach. I work in accordance with PACFA and ARCAP's Code of Ethics. I receive monthly supervision for all my client work and regularly participate in post graduate training and self development workshops. I have significantly journeyed my own individual, couples and group therapy. The Manly clinic is a short walk from ferry and bus stops and there is parking in Whistler Street car park. The Allambie & Frenchs Forest clinic is a short walk from Allambie Rd bus stops and there is ample off street parking. In the early nineties, I was working at a new age bookstore and crystal shop in Covent Garden in London, when I discovered a book called Swimming with Wild Dolphins. That day, I zipped out at lunch time and booked a flight to Dingle, a small fishing village on the South West Coast of Ireland where Fungie, a wild bottlenose dolphin had made his home. I continued to swim with him for 15 years, but it was this first encounter that I had what Maslow called a peak experience. In many ways, my spiritual awakening shone the light on the darkness that I had been living with for most of my life. I returned to London and so began my self-development journey through many women’s workshops and then weekly, long-term psychotherapy sessions. The unconditional love and acceptance that I received from my therapist helped me to heal my early childhood wounding, chronic low self-worth, addiction and disordered eating. In 1998, I attended an open evening at The Institute of Psychosynthesis in London, participated in their four day Fundamentals, then submerged myself in their Foundation Year; predominantly for my own self-development. Having worked through my own suffering, I felt that I had something to offer others and decided to train firstly as a therapeutic counsellor, then as a psychotherapist. Nowadays, I consider myself to be aligned with what Jung called, a wounded healer of the soul. The soulful, holistic and integrative approach that I work with is called psychosynthesis. It was founded by Italian psychiatrist and neurologist, Roberto Assagioli MD, who was a colleague to the likes of Freud, Jung and Maslow. He was a pioneer in the field of humanistic, transpersonal and spiritual psychologies and was way ahead of his time (early 1900s), by integrating mindfulness and spirituality into western psychological disciplines. Today, there are schools all over the world with psychosynthesis practitioners leading the way in areas such as mindfulness and neuroscience as well as revamping national health systems and addiction treatment centres with the psychosynthesis holistic and psycho-spiritual approach. Psychosynthesis as a modality, is loved by both therapists and clients because of the hopeful context that is held. If someone is suffering with addiction, depression or an eating disorder for example, and they are being told, ‘once an addict, always an addict’ or, ‘you are suffering with a mental illness, disorder or disease and you will need to manage that for life’; many people find this doesn’t fit for them and this labelling adds to the sense of hopelessness that they may already be experiencing. From the first session, clients hear, ‘even though you may feel or think this way right now – you are not broken, diseased or in need of a cure. At the core, you are whole and unbroken and we’ll work together in a way that you can begin to realise and actualise this wholesome way of being’. One of my favourite quotes to support this is by Geneen Roth, ‘your eating disorder [for example] is an attempt to fix something that has never been broken’. This way of thinking and working turns the dominant disease, illness and medical model on its head. Psychosynthesis is therefore non-pathologising and each individual is viewed by the therapist through what we call bifocal vision; ‘the client as a Self, a being with a purpose in life and with immense potential for love, intelligence and creativity…also as a personality, an individual made up of a unique blend of physical, emotional and mental characteristics’ (Whitmore, 2000, pg. 70). For example, someone suffering with an eating disorder is often immobilised by their identification with the body. When they hear, ‘you have a body but you are more than your body’ – they often see themselves clearly for the first time. This provides hope and motivation to change unhelpful thoughts and behaviours in addition to providing a context for the work. I am interested in women's emotional, psychological and spiritual health and well-being as well as a particular focus on eating psychology and disordered eating.. Although clients report feeling better and start to make changes within the first few sessions, psychosynthesis psychotherapy is not a quick fix, or, a come when you feel bad kind of therapy. It is a process of self-awakening, a journey of the soul and a (re) discovery of who the person was always meant to be! Therapy has made me a better person through building awareness of self and others. When women first arrive at my door – their lives are often full of chaos and they are frequently drowning in a sea of despair, suffering and a sense of hopelessness. I love witnessing overtime how they grow, blossom and transform their lives. Of course - they are a part of life! One of my favourite books of all time is Viktor Frankl’s Man’s Search for Meaning . Ultimately, Frankl suggests that we cannot avoid suffering in life but even under the most difficult circumstances, we can derive a deeper meaning from it. I like the process of rather than trying to eradicate our suffering, welcome it with open arms like we would a guest who has come to stay for a while. Treat it with acceptance, compassion and empathic love. Engage and build deep relationship with it. Ask, ‘what is the value, meaning and purpose of this suffering?’ This will help us to find value, meaning and purpose in life.